Experience the unique wildlife and beauty of the Galapagos region! See endemic species such as marine iguanas, giant tortoises, and Galapagos penguins! Admire the scenic vistas of Los Tuneles, enjoy snorkelling alongside sea turtles, and end your tour with a visit to the Charles Darwin Research Station. Start your Galapagos adventure at San Cristóbal Island! Sail across Wolf Island and Kicker Rock while admiring blue-footed boobies, frigate birds, sea lions, and marine iguanas! Also, go snorkelling and see amazing sea life! 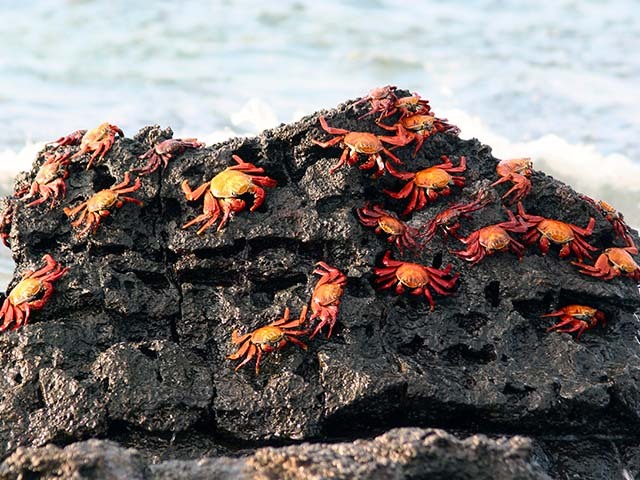 Your journey to nature’s laboratory of evolution – the Galapagos Islands, starts today! The Galapagos Islands are a group (archipelago) of 13 major islands and dozens of smaller islets and rocks, formed as a result of volcanic activity. The islands harbour an extraordinary population of unique, endemic species that have evolved away from human interference. 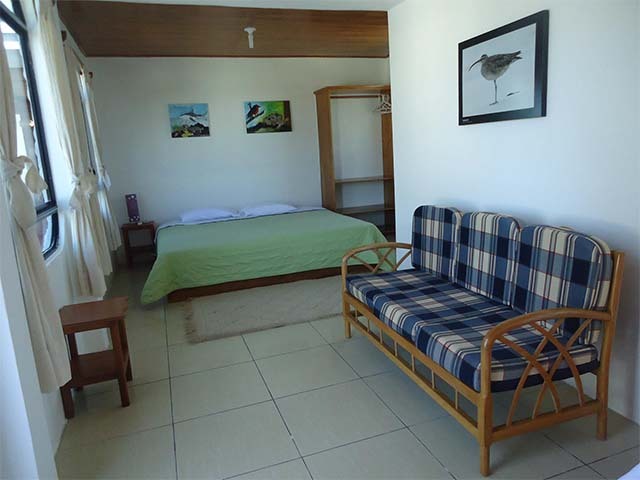 Upon arrival, you will have to pay the mandatory entrance to Galapagos National Park (USD 100 per person) at San Cristóbal Airport. Once you’re outside, our local representative will greet you and transfer you to your hotel. After a quick check in, travel to the pier for your first wildlife encounter in the archipelago. Sail across Wolf Island, named for the sea lions found here. It is also inhabited by marine iguanas, and a seasonal nesting location for blue-footed boobies and frigate birds. Then navigate to Kicker Rock, a vertical tuff cone jutting almost 500 feet out of the ocean. The boat will cruise around the cliffs here as you look for blue-footed boobies, frigate birds, and sea lions that line the shore. You will also have the chance to go snorkelling here. See Galapagos sharks, Pacific green turtles, spotted eagle rays, and if you are lucky, hammer head sharks as well! Return to Pimampiro Hosteria for the night. The hotel offers comfortable, air-conditioned cabins with modern amenities. It also has a quaint pool with plenty of lounge chairs where you can relax. A day full of beautiful sights awaits you today! Sail across a breath-taking labyrinth of lava tunnels with crystal waters. Then, go snorkelling in an underwater paradise alongside colourful fish, giant sea turtles, huge rays, and penguins! Enjoy a hearty breakfast of scrumptious local delights this morning before flying to Isabela Island. After checking in to your hotel, visit Los Tuneles – a labyrinth of lava tunnels with crystal waters. Spot giant sea turtles, eagle rays, sea lions, white tipped reef sharks, and colourful fish through the clear waters. 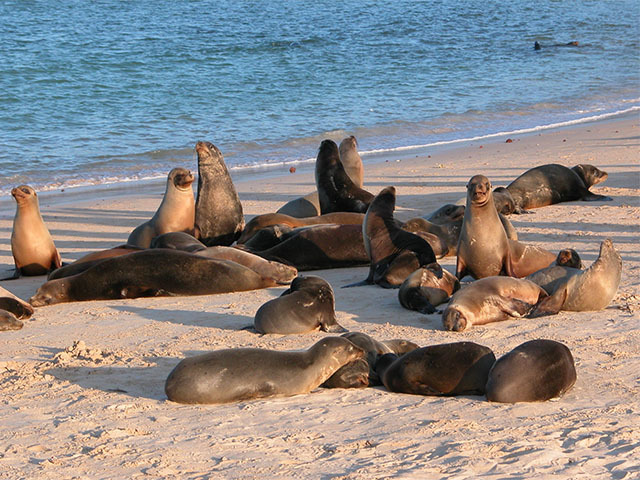 Marine iguanas, sea lions, and Galapagos penguins inhabit the beaches here. If you are lucky, you might even spot flightless cormorants. You can go snorkelling and swimming at this beautiful site. Swim alongside schools of tropical fish, giant sea turtles, giant manta rays, sea lions, and even penguins! Return to Casita De La Playa Hotel for the night. Located on a beautiful beach, this family-owned house hotel has twelve comfortable rooms to host guests. Enjoy a rewarding three-hour hike along the Sierra Negra volcano today. Then visit Tintoreras Island to see Galapagos penguins, white tippet sharks, and baby iguanas. Visit Sierra Negra volcano located at the southern end of Isabela Island. With a caldera that measures over 10 km across, Sierra Negra is considered to be one of the most impressive volcanoes of the archipelago. The journey to the volcano comprises a 45 minutes bus ride followed by a three-hour hike. Head back to the hotel for some relaxation and then it’s on to Tintoreras - a beautiful small island located at just few minutes away from Isabela. Spot Galapagos penguins, white tippet sharks, and baby iguanas. Relax at the beach here or enjoy some snorkelling. See giant tortoises on Santa Cruz Island, visit twin volcano pits, and observe iguanas, crabs, and birds at Tortuga Bay. Today, explore Santa Cruz Island – home to the giant tortoise. Arrive on to this island via a pleasant two and a half hour boat journey. Observe the giant tortoise, the largest living species of tortoise, in its natural habitat here. Charles Darwin observed these tortoises endemic to the Galapagos, and made observations that contributed to his theory of evolution. Then visit “Los Gemelos”’ (“the twins” in Spanish), two large volcanic pits surrounded by a beautiful forest. Spot Darwin finches and Vermillion flycatchers buzzing around here. Have a freshly prepared lunch at a local farm and then head to Tortuga Bay. Observe a beach preserved for wildlife, from afar. In order to minimize human interference, swimming in the waters and walking directly on the beach is prohibited. Watch iguanas, crabs, and birds here. Return to the town of Punta Ayora where you will have a chance to do some local shopping, and then head to Hotel Mainao. A relatively new hotel, Mainao offers ten comfortable rooms with en suite facilities. After four exciting days of exploration across the beautiful Galapagos Islands, finally visit the Charles Darwin Research Station, and then transfer to the airport for your flight home. Complete your Galapagos Adventure with a visit to the Charles Darwin Research Station – former home of the legendary “Lonesome George”, the last Pinta Island tortoise. Learn about the successful giant tortoise, and land iguana breeding and reintroduction programs here. Visit the information centre, baby-tortoise house, museum, and walk-in adult tortoise enclosure. Then transfer to Baltra Airport for your flight home.